For over thirty years, Le Mas des Abeilles has produced and selected honeys in Provence for export throughout the world. 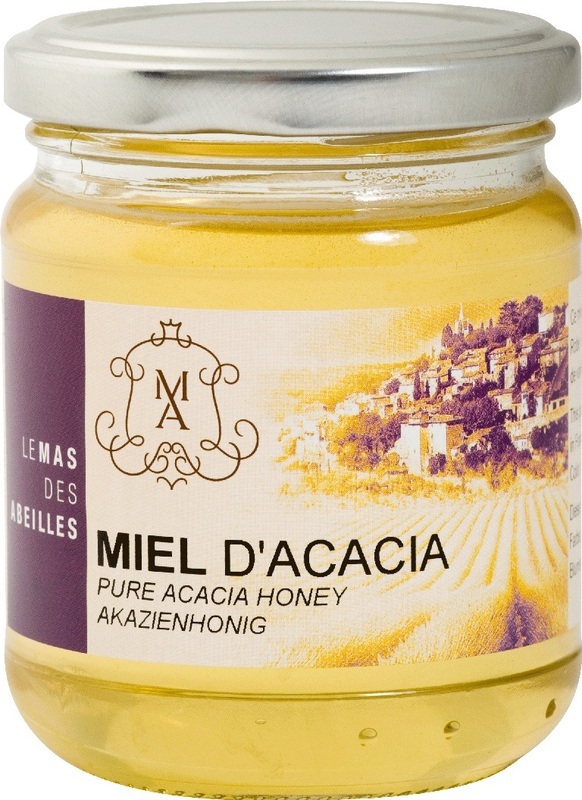 Le Mas des Abeilles’ acacia honey is very light to light yellow. Its weak scents have floral aromas with hints of vanilla, not very intense, but delicate, high sugar content, without acidity or bitterness. It does not persist in the mouth.